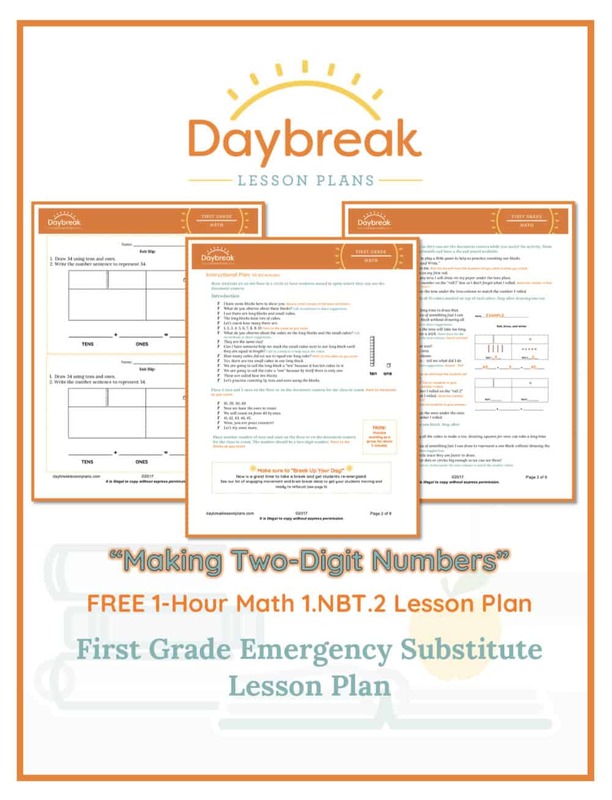 This is a 1-hour, fully scripted First Grade Math lesson plan addressing Numbers in Base-Ten: Groupings of Tens and Ones (1.NBT.2). This lesson includes: making two-digit numbers using tens and ones and writing number sentences in expanded form to equal a given number. Students will build a two-digit number using base-ten blocks, count by tens and ones, write a number sentence in expanded form for two-digit numbers, and draw a picture using base-ten blocks to represent a two-digit number. 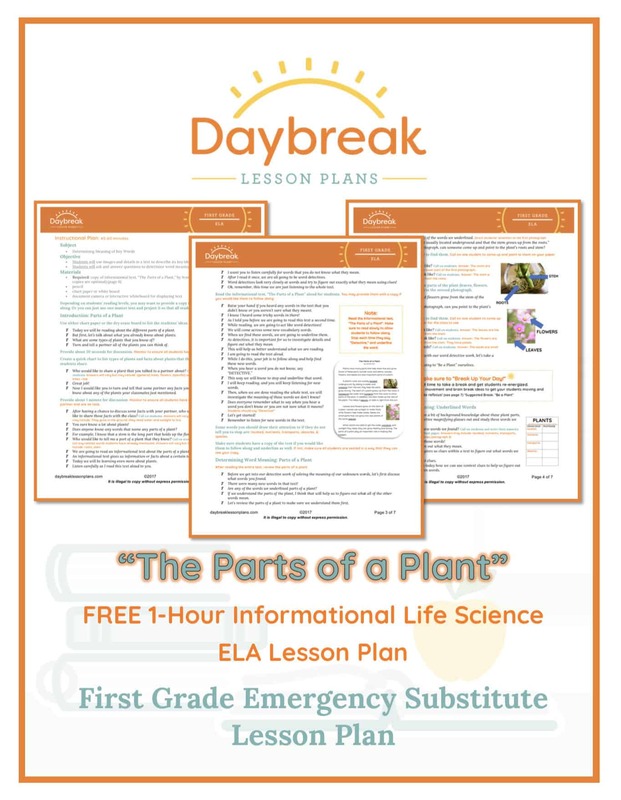 This is a 1-hour, fully scripted First Grade ELA lesson plan using a printable Informational Life Science text, “The Parts of a Plant,” by Jennifer Kaul. Your students will use close reading comprehension techniques (RI.1.4), have collaborative conversations around details of photographs, and ask and answer questions. Students will use images and details in a text to describe its key ideas. In addition, students will also ask and answer questions to determine word meaning.